"Meatball Sundae Marketing Research Kit - Includes a Free $8.50 Book Summary"
Free Kit: "Meatball Sundae Marketing Research Kit - Includes a Free $8.50 Book Summary"
Request your Complimentary Book Summary NOW! 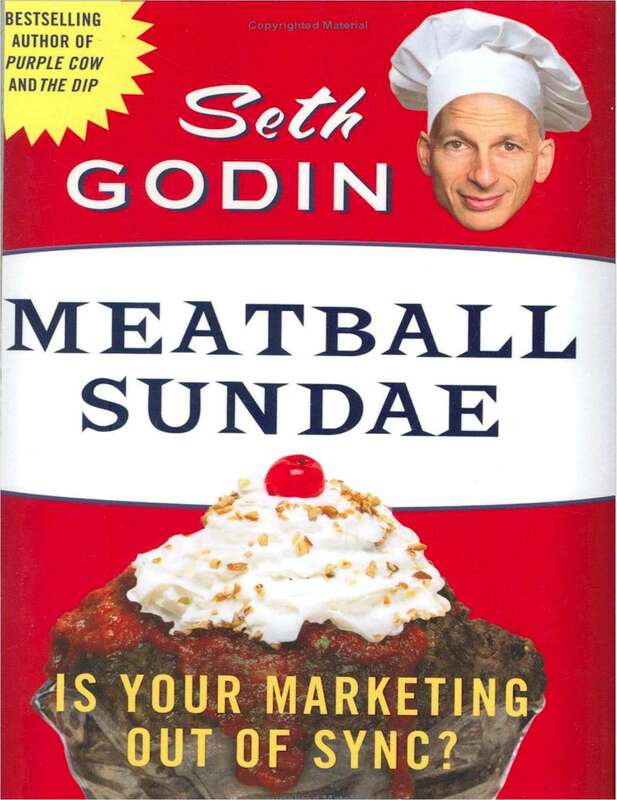 Meatball Sundae: Is Your Marketing Out of Sync? It explains what to do about the increasing power of stories, not facts; about shorter and shorter attention spans; and about the new math that says 5,000 people who want to hear your message are more valuable than 5 million who don't. Godin doesn't pretend that it's easy to get your products, marketing messages and internal systems in sync. But he'll definitely convince you that it's worth the effort. Learn why brand management matters to marketers, creatives, and even the bean counters. Producing delicious content that stands apart and meets your business objectives takes a lot of work. Luckily, there are some key ingredients you should always include to make your content program a success.